On the macro overview, India's GDP growth is expected to remain robust in 2019, supported by tailwinds from recent policy reforms, signs of a revival in private capex and pre-election spending. The US dollar strength, oil prices and next year's general elections will determine the rupee's direction in the near-term, with fundamentals being supportive for the domestic currency over the next 6-12 months, says a report by Standard Chartered. 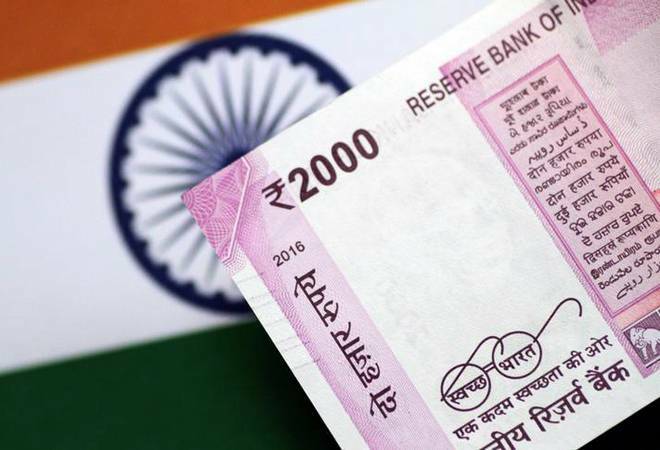 Attractive real yields (net of inflation), growth momentum and robust forex reserves of $394 billion are likely to be positive for the Indian rupee (INR), said the report titled '2019 India Outlook -- A year to prepare and react'. On the macro overview, the report expects India's GDP growth to remain robust in 2019, supported by tailwinds from recent policy reforms (GST and bankruptcy code implementation), signs of a revival in private capex and pre-election spending. "In our assessment, consumer price inflation (CPI) is likely to average 4 per cent in 2019. Benign food inflation, positive base effects, recent correction in oil prices and INR stability is likely to keep inflationary pressures under check," it said. The report also said the RBI is likely to stay on hold in 2019, as inflation is likely to remain within its medium-term target of 4 per cent. "However, if inflation continues to undershoot RBI's target, there is a possibility of a rate cut later in 2019," it noted. On the equity market, Standard Chartered said, "We remain positive on Indian equity markets in 2019, though more cautious compared to 2018." "As we head into 2019, Indian markets are likely to remain volatile. We take a balanced approach to investing being selective in taking risk (diversified equity exposure) while keeping a greater margin of safety (preference for bonds) and keeping some dry power for tactical opportunities during the year," said Nitin Singh, MD and Head, Standard Chartered Wealth Management India. Citing reasons for the likely volatility in markets, the report said India's twin deficits are likely to remain under pressure in 2019 as fiscal slippage risk is high and current account deficit rises amid a weak global funding environment. "Second, while we don't see systemic risk arising from the recent liquidity pressures on non-banking financial companies (NBFCs), markets still need to adjust in the near-term to tighter financial conditions amid an elevated credit risk," it said. It added that "as we near the general elections in mid-2019, risk premiums could rise to factor in political uncertainty". The report said macro environment is still supportive for equities. Earnings growth outlook remains robust with high double-digit growth expected in 2019, it said. "In our assessment, the recent market correction from 2018 peak has created a greater valuation buffer, with valuations converging closer to longer term averages, compared to peak valuations a few months back," reads the report. However, rising margin pressures and its impact on future profitability, stretched valuations relative to bonds and cash and moderating flows amid tighter liquidity are risks to equity outlook, it added.